Zeus the stubborn dog is at it again. 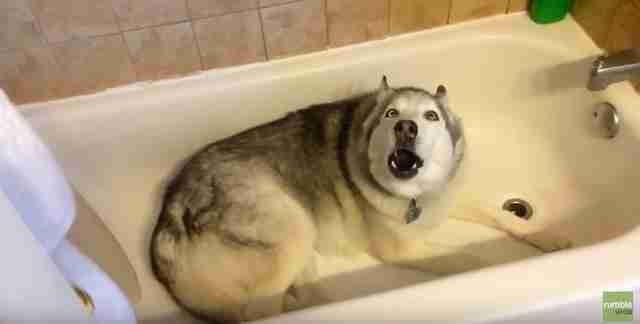 Recently, Zeus's mom was trying to get him to leave the bathtub so he could take a walk, and he flat out refused. Now, his mom is STILL trying to get him to take a walk, but this time, he's refusing to leave the couch ... which is a much comfier place for a tantrum, if you ask me. Despite pleas from his mom and disapproving looks from his brother, Zeus holds his ground, and will not get up off that couch. At one point his mom says, "You can't stay on the couch all day!" But of course, he can, and he will. Zeus is essentially a professional tantrum-thrower at this point, and it will never stop being absolutely perfect.